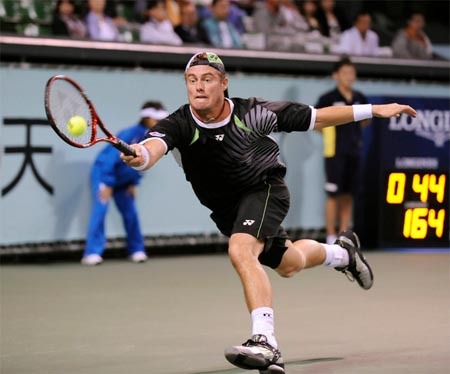 The Aussie won his first rounder at this week’s Rakuten Japan Open, taking out wildcard Tatsuma Ito 6-1, 7-5. Couple this with top seed Juan Martin del Potro‘s first-round loss to Edouard Roger-Vasselin and Lleyton has a decent shot to get to the quarterfinals! Buy: For those absolutely interested, you can pick up versions of the Yonex New York Crew for $44.99.